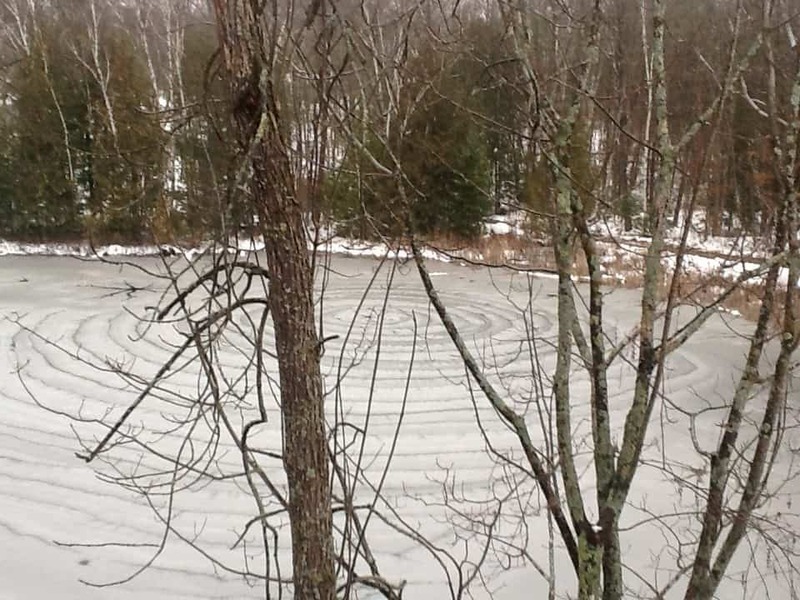 Upon waking up on December 5, there were eight white, fluffy circles in the ice on the pond adjacent to our house. At 10:00 am, I snapped the first two photos. 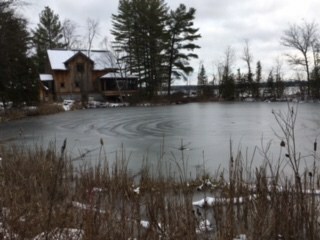 Now it’s 2:30 pm and I am home to a melting scene but as you can see the circles are holding. I find it so fascinating. The water level in the pond and the lake is very high for this time of year. Any ideas to solve the mystery? UPDATE: For your information, we drove up to Apsley on Dec 4 and there were several ponds off of the highway, on both sides, with ice circles in them. We didn’t stop because of the traffic and I mentioned them to Sandra. We had never seen them either, but a spectacular view none the less.